Below you will find our list of Frequently Asked Questions. If you can not find an answer to your question below, please feel free to contact us and we will contact you with an answer as soon as possible. According to the Oxford Pocket Dictionary (Third editon 2002) statistics can be defined as either the study of information based on numbers of things or as any peice of information expressed as numbers. 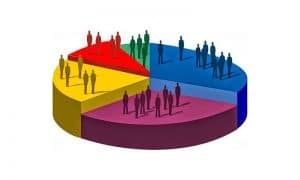 Statitics are important to any country, institution or organization because not only are they the main instruments used in the development of policies but they also provide a platform as far as planning for any future activites are concerned. What type of statistics does SIB produce? Currently SIB produces population, demographic, import, export, inflation, GDP and labor force statistics. Note that copies of the published information are available in the section of the website labeled “Statistics”. How can I receive the latest statistics from the Statistical Institute of Belize? One can subscribe by filling out the registration form available at the “Contact Us” icon on the upper left hand corner of the screen. How can I receive the latest SIB statistics? You can receive emails of the latest SIB statistics by completing the subscription section above. How can I purchase a copy of the Abstract of Statistics? The Abstract of Statistics can be bought at all SIB offices for a contribution of $50.00 bz dollars. Orders from overseas must be paid by money order or cheque payable to the Statistical Institute of Belize. In the case of orders paid by cheque, they will be held until cheque is cleared. Which agencies are the major producers of official statistics on Belize? Which office should I contact to order a birth, death or marriage certificate? The Vital Statistics Unit in the Registrar General Department is responsible for issuing these documents. It is located in Belize City. Where are the offices of the Statistical Institute of Belize? What types of surveys are conducted every year? The standard surveys conducted every year include the Labour Force Survey (L.F.S) which is conducted bi-anually and the Consumer Price Index (C.P.I.) which is conducted four times per year.